What should a car manufacturer focus the attention on? What ideas are embedded in the concept car manufacturer? Cars! Of course a car manufacturer deals with developing the best, safest, fastest, most energy-efficient cars. But what if we extend the concept “car manufacturer” and look at other things and people who are also using the road at the same time. Like bicycles and pedestrians. Is there a market that a car manufacturer can explore? 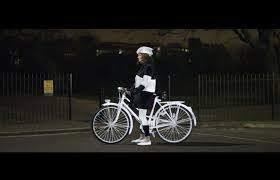 Swedish car manufacturer Volvo has briefly turned its attention to bikes, working alongside UK design firm Grey London and Albedo100 to create LifePaint to make the roads safer. LIfePaint is a water-based reflective spray, which is only visible at night. More than 19,000 cyclists are injured on the UK’s roads every year and at Volvo they believe that the best way to survive a crash is not to crash. The company is committed to making the roads a safer place and the paint may help to reduce the number of accidents. 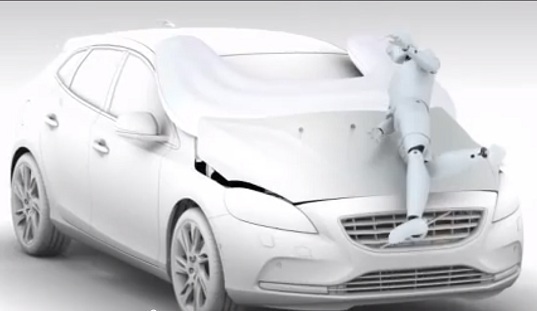 Another important aspect is the safety of pedestrian and in 2013 Volvo introduced the world’s first car with external airbags to help protect pedestrians from serious head and neck injuries. The airbag is located under the hood and inflates at the base of the windshield. This solution enables the driver to see ahead. To push the idea with pedestrian safety even further, the car manufacturer designed a pedestrian detection system. If the driver does not react fast enough, the car’s brakes apply automatically when a pedestrian steps in front of the vehicle. This idea can be further developed to include animals. Accidents involving elks, reindeer, deer and other animals can lead to serious accidents. And cars are also responsible for the death of many smaller animals such as hedgehogs. . . Think about the safest way of using your products and see if you can extend the concept to involve other aspects. Maybe you will end up with not only a safer way of using your products but also a completely new product.